CEO Elon Musk reveals that the Tesla Pickup Truck’s primary design elements have been established for years and promises it will come after the Model Y. We can’t say that we’re too surprised here. We’ve known for some time that the automaker has plans for the Model Y in the near future, as its next vehicle to follow the Model 3. It also hasn’t been a secret that Musk has been hinting at a pickup truck for quite some time now. This became even more clear at the recent Tesla Semi reveal event when a picture of the pickup truck was shown. 21 Comments on "Elon Musk Confirms Tesla Pickup Truck To Follow Model Y"
Completely agree. 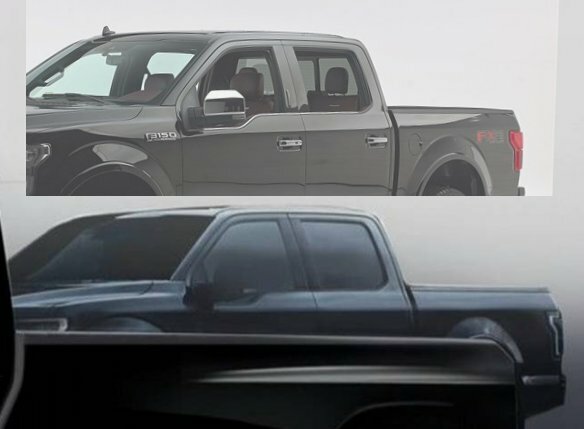 I really hope the production version of the Tesla pickup looks far better than any of the renderings we have seen so far. Oh no.. here we go again. Kdawg, look really close at the Pickup rendered in the Bed of the Pickup Monster Truck ‘That can Carry a Pickup’. Could that have actually been a rendering of a Current Competitors Pickup, like most thought, or of a planned Tesla Pickup? It looks like a Ford F150 to me. They just blacked it out, changed the side mirrors a bit, and deleted the door handles/antenna. I agree its kinda ugly I guess for the aerodynamics, but I would prefer something a little more conventional looking. Where under the hood where typically the ICE would be would provide storage for items you don’t want exposed. If it’s sized to need the Semi Tractor wheels and tires in the picture, I certainly won’t be neediing one. Over the last 20+ years pickups have been creeping up in size at every refresh they get. Today’s Chevy Colorado looks bigger than a 1971 full sized Chevy pickup. However, not one fiber of my being believes that Musk wouldn’t build it as big, or bigger, than whatever is on the market when the Tesla pickup comes to market. Tesla Truck with “game changing (I think ) feature”. Who can guess what “Feature” St. Elons Truck power export/output device will actually look like? ? or ⚡️or ?? An electric diesel would be funny as hell! I agree, connections to power a jobsite/emergency home power would be a game changer. I could power our little house for a week with my Leaf battery, if I wasn’t worried about melting every wire in the car down. Being able to drive to a fast charger and bringing power home could power us for weeks. Even being able to use a battery to connect directly to our solar panels would be a boon. Hope you & MM are right. That would be a really cool feature. Jobsite power, or for camping, or home back-up power, many great uses. Can’t wait to see a Tesla pickup…but sadly I’ll have to, it likely wont be in people’s garages until 2021, he’ll likely show it off in 2019. Would like to point out that the Mitsubishi Outlander PHEV already has this feature…at least it does overseas. Not nearly as big mind you. It also wouldn’t surprise me if you are able to mount (or it comes with) a small ICE generator that can double duty as range extender and worksite generator….I would doubt there’s any way to make the battery itself big enough to stay all day at a worksite providing power. How can Tesla improve further? Don’t treat your customers as fools! If you don’t want customers, who need a car with a tow hitch, just say so. Other automakers will take our money willingly. But don’t make false promises. BTW: Don’t bother. Too little, too late. BEV (with tow hitch option) from a different automaker is already ordered. “As an F150 owner (weekend warrior market segment), I gotta say please do not make it bigger. Parking spots are getting smaller and I end up having to park in less used parts of the lot so I can actually open the door enough to get in.